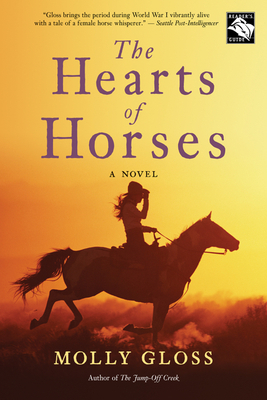 If you are crazy about horses, read this book!! But, even if you're not a horse person (I am not), you will enjoy this story. Molly Gloss write so realistically and just plain comfortably about ranch life in Eastern Oregon in 1917. Her main character is 19 year old Martha Lessen. A young woman who is willing to "ride the circle" 7 days a week to break horses. A gentle, warm, and heartfelt story.